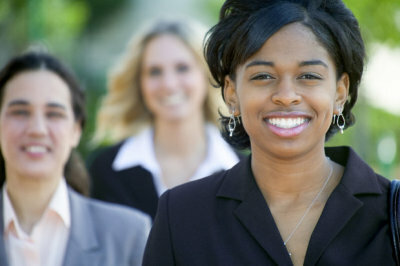 The County Woman Newspapers offer businesses the unique opportunity to reach an important, targeted consumer group through a focused educational/informational approach. The "County Woman" newspapers are award-winning for their style and format. Unlike all other publications in our area, this paper is a vehicle for providing categorized, objective information targeted to women but relevant to all. How is the "County Woman" different? The paper is designed to provide the reader with a source accelerator - a convenient, uncluttered reference to information in high visibility categories. The design of each page is built around the advertiser - your message does not "get lost" between local news articles and other advertisers. Unlike "advertorials", businesses provide objective, educational material regarding their areas of specialty, not a press release or "commercial". This heightens readers' interest and encourages the reader to keep and share the paper with others. The paper is distributed and replenished at each location for a full 6 to 8 week period for maximum exposure. One rate provides you with readership throughout the entire county, no purchases by zip code. Distribution does not rely on "forced mailings"- our readers purposely pick up our paper. Distribution is not random, drop points and locations are selected by the demographics of the people typically visiting the location. This publication does not cover "headline news", controversial subjects, or classifieds. "County Woman" is a niche marketing vehicle capturing the market that is most likely to purchase your products and services.